Stumped over what to get somebody for their birthday? 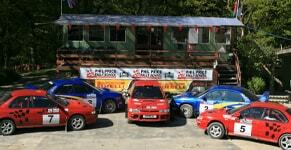 How about an incredible introduction to rally driving? A gift voucher from Phil Price Rally School could be the dream present for any person who loves driving and wants to experience something different. 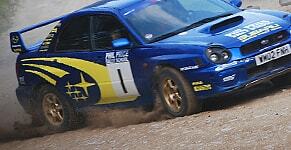 We have four fully prepared Subaru Impreza rally cars, just waiting for you to take control, along with a team of passionate instructors who have many years of experience and can introduce you to this exhalating motorsport. Our gift vouchers could be the perfect surprise gift for any special event, whether it’s a birthday, anniversary or wedding. Providing a welcome escape from the post-summer blues, our driving experiences are high-octane, thrilling and extremely fun. We always give you the maximum amount of time behind the wheel, with our driving experiences culminating with a competition against other drivers. Your loved-one will get that heart hammering as they carry out the kind of driving moves which you get in an action film. With our expert team, who have over 25 years of experience, they’re guaranteed to be in safe hands. Our One Day Intense course will please motorists of all ages and abilities. Running between 9.30am-4.30pm, it will give them the ride of a lifetime, and ensure that they end the year with a smile on their face. Find out more about our driving experiences today.